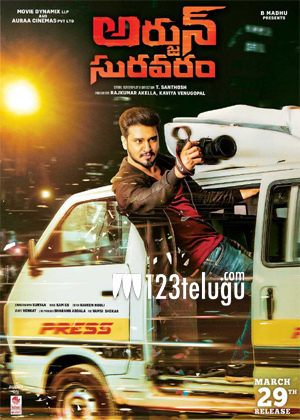 Nikhil is promoting his new film Arjun Suravaram on a big note and the promotions have caught on quite well. Now, the latest we hear is that the makers are planning to postpone the film from March 29th. The reasons for this are yet unknown but there is no confirmation on this topic. The film is the remake of the hit film Kanitan and Lavanya Tripathi plays the female lead. It will be interesting to see when the makers will release the film. Watch out this space for more updates on this project.